Viburnum is a shrub long forgotten it seems. We still carry this outstanding shrub. Viburnum have large dark-green leaves with long branches covered from edge to edge with white flowers that resemble snow flakes. 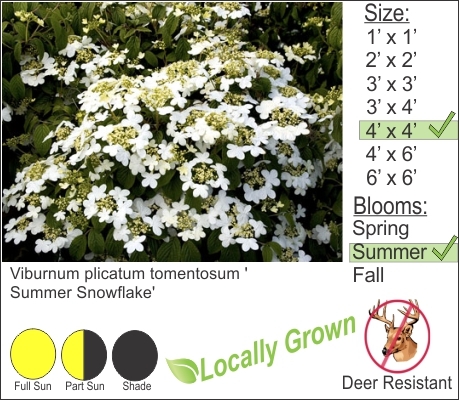 Viburnum are deer resistant and provide a showy red and orange fall color. Give this shrub some space in your landscape and you will not be disappointed.